The International NASH D ay is the 1st edition of a worldwide movement initiated by the endowment fund The NASH Education ProgramTM aimed at raising awareness about NonAlcoholic SteatoHepatitis (better known as NASH). 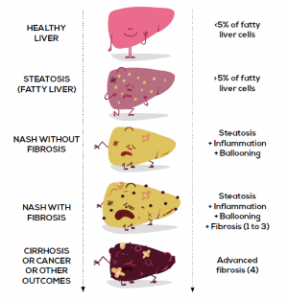 NASH is a silent and degenerative liver disease that affects up to 12% of the adult population worldwide without symptoms, and is expected to become the leading cause for liver transplant by 2020. NASH is considered as a public health issue worldwide by both agencies and healthcare professionals. Today there are still no approved drugs to treat NASH. In the last decade though, science has made great progress in developing molecules to treat NASH. The provision of safe therapies by 2020’s represents a great hope for patients suffering from NASH. PXB-Mouse – mouse model with highly humanized liver – has a potential to help in the development of NASH treatment.